HELSINKI, FINLAND, April 25, 2019 /24-7PressRelease/ — The BWW 2018 competition was held in the world’s largest wine information service – tastingbook.com. 18,477 wines received in total 2,354,989 votes from 416,000 wine professionals and wine lovers from 116 countries during the three months voting period. After the voting period, only 100 most voted wines in seven different categories remained in the Finals, organized in January 2019. The seven main categories included red wine, white wine, rose wine, sparkling wine, fortified wine, champagne and Wine Critic. The six main wine categories included red wine, white wine, rose wine, sparkling wine, fortified wine and champagne categories. Under each category, the best wines were also awarded according to price level and country categories. The Title above all categories – The Best Wine of the World 2018 – was awarded to the wine that won the highest scores in the Finals. In BWW Competition 2018, the Best Wine of the World -title was awarded to the Masseto 2009, Tuscany, Italy. 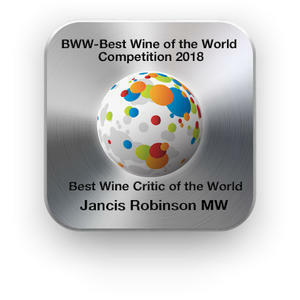 BWW is the largest wine competition in the world, whether measured 2018 the number of wines, the number of consumers involved or the judges taking part. Registration will begin on May 1st at www.bwwcompetition.com. Government Fiscal Stimulus Program in India: Blessing or CURSE?